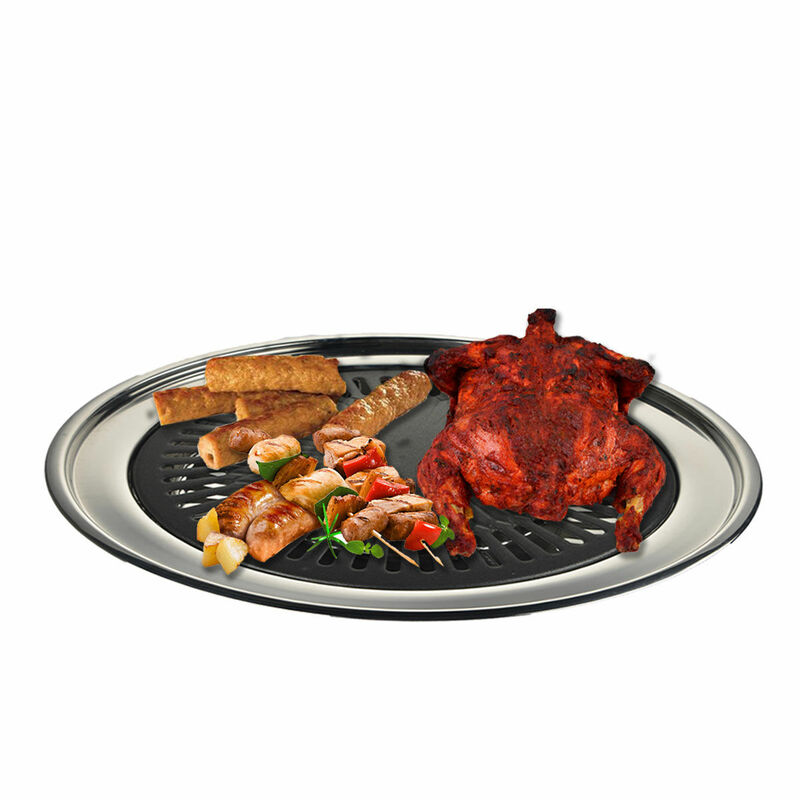 Royal Chef Gas-O-Grill is a unique, multi-functional 2 piece grill that converts stove into an indoor smokeless Barbeque. The heavy duty grill plate grills food golden brown with perfect even heat for low-fat or no fat delicious cooking. 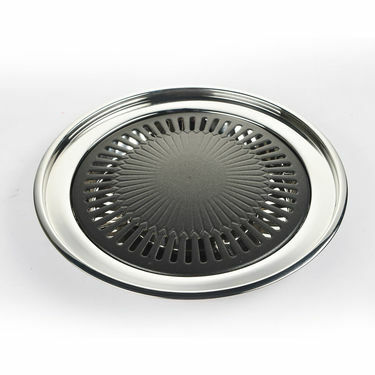 Made from high quality material, it is highly durable and sturdy for daily use. Ideal for Grill Chicken, Grill vegetables, Naan, Lachha paratha, Aloo Tikki, Tawa bhaji, Fish and so on, it makes a perfect addition to your kitchen essentials. 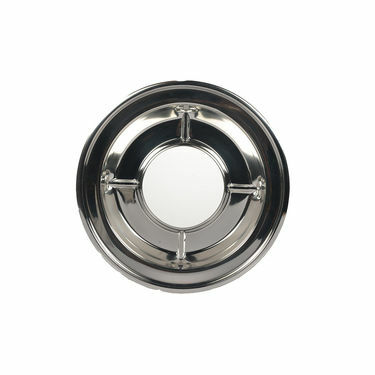 Moreover, it is compact, portable and great for home, camping, picnics and gifting purposes. I love making grill chicken, paratha, grill vegetable and many other healthy options on this product. 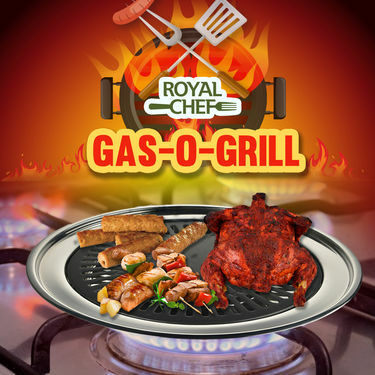 Royal Chef Gas-O-GrillVS4 Pcs Heavy Weight Stainless Stee.. Royal Chef Gas-O-Grill VS 4 Pcs Heavy Weight Stainless Stee..
Royal Chef Gas-O-GrillVS7 Pcs Superhit Coloured Non-Stick.. Royal Chef Gas-O-Grill VS 7 Pcs Superhit Coloured Non-Stick..
Royal Chef Gas-O-GrillVS7 Pcs Premium Non-Stick Cookware .. Royal Chef Gas-O-Grill VS 7 Pcs Premium Non-Stick Cookware ..
Royal Chef Gas-O-GrillVS20 Pcs Copper Base Cook & Serve S.. Royal Chef Gas-O-Grill VS 20 Pcs Copper Base Cook & Serve S..
Royal Chef Gas-O-GrillVS15 Pcs Copper Base Cook & Serving.. Royal Chef Gas-O-Grill VS 15 Pcs Copper Base Cook & Serving..
Royal Chef Gas-O-GrillVSMaster 5 Ltr Coloured Pressure Co.. Royal Chef Gas-O-Grill VS Master 5 Ltr Coloured Pressure Co..